Iloilo is the City of Love. And sure enough, Ilonggos put love in everything they do, especially when it comes to food. Famous for their La Paz Batchoy and Pansit Molo, Iloilo cuisine is rich, hearty, and flavourful. They use only the freshest ingredients, devote hours in marination, and take their time in the slow simmering of their fab fare. Since Bacolod and Iloilo are just neighbouring islands with similar dialect, they also have the same taste palate. There’s nothing like a good brew of coffee to start the day. Madge Cafe is a local and tourist favourite. The original branch is located in La Paz public market, but they also have a branch in Atria. Madge used to be famous for their coffee cups served in tin cans with and labelled using masking tape. It was kitschy but adorably cute. Recently, these coffee cups have evolved into personalised ceramic mugs. It’s still an adorable touch. The modern Madge Cafe still has a cosy atmosphere with its walls decked in mismatched coffee cups. 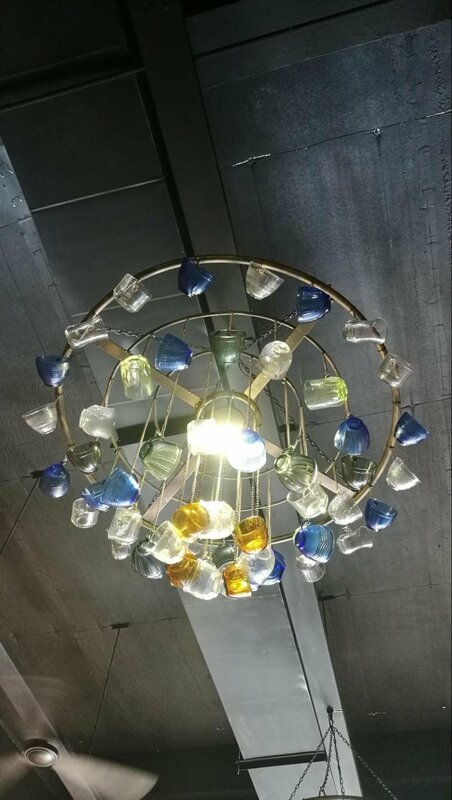 The colourful coffee cup chandelier ties in the look and feel. 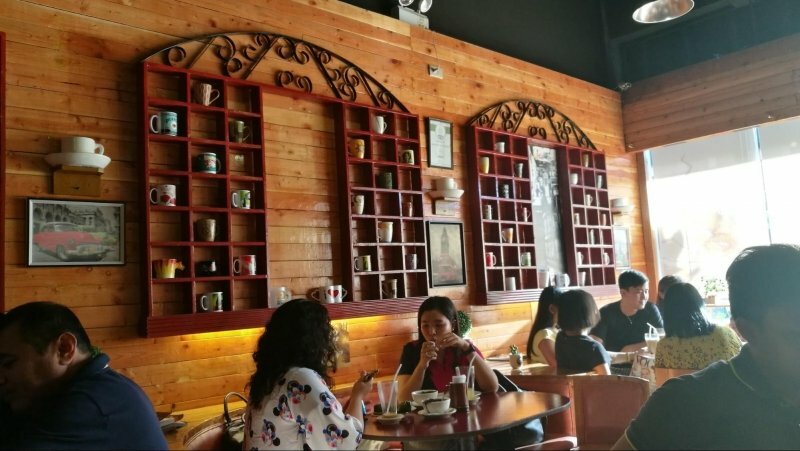 Near the counter, there is one wall filled with personalised coffee mugs. They are definitely living up to what they are known for: a personalized coffee experience. 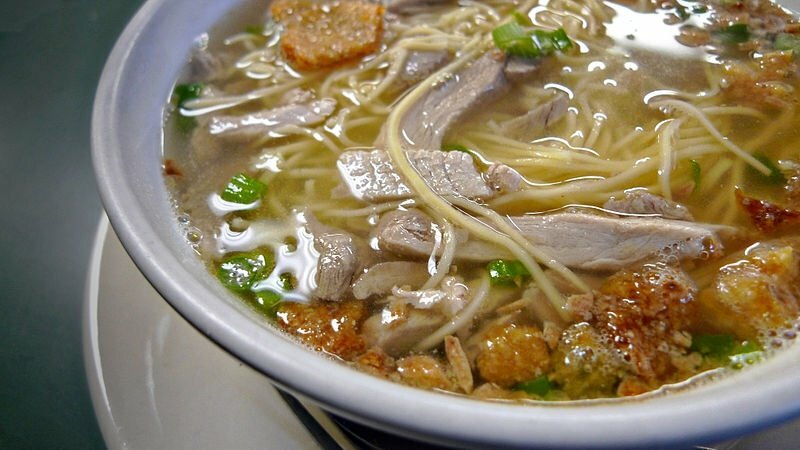 Batchoy is one of Iloilo’s culinary contributions to the country. It is a noodle soup made with chicken stock or pork broth filled with pork organs, beef loins; and topped with chopped spring onions, fried garlic bits and crushed pork cracklings. Its origins stemmed from the district of La Paz, Iloilo City. Hence the name, La Paz Batchoy. You can take your pick among the three popular restos famous for their batchoy: Deco’s, Ted’s, and Netong’s. Just like La Paz Batchoy, Pancit Molo is also named after the place where it was born. 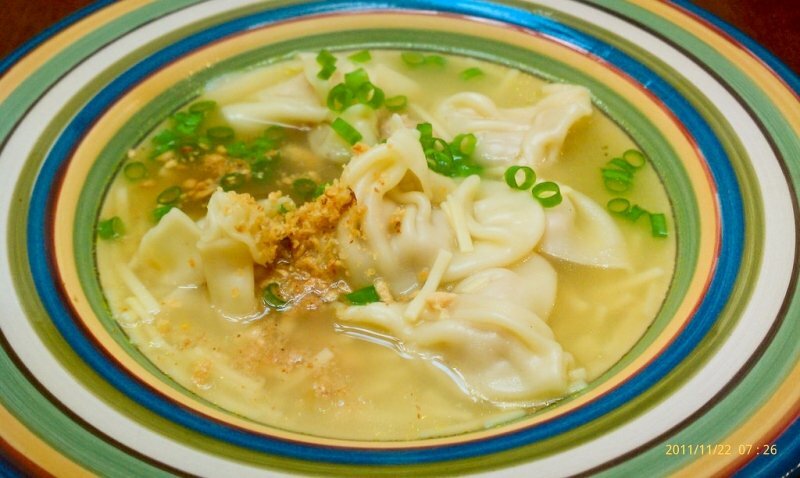 It’s a pork or chicken dumpling soup with ground pork wrapped in wonton wrappers that originated from Molo district, shrimps, and shredded chicken meat, garnished with bits of fried garlic and green onions. It bears a resemblance to a Chinese wonton soup but with flavourful ingredients which makes it really tasty. Contrary to the expectation of a noodle filled soup when you say pancit, Pancit Molo’s wonton takes the place of the customary glass noodles and is equally as satisfying. If Bacolod is famous for its chicken inasal, Iloilo has their own version of lechon manok. When you ask a local where you can eat this popular native chicken, all fingers will point you to Tatoy’s Manokan and Seafood. 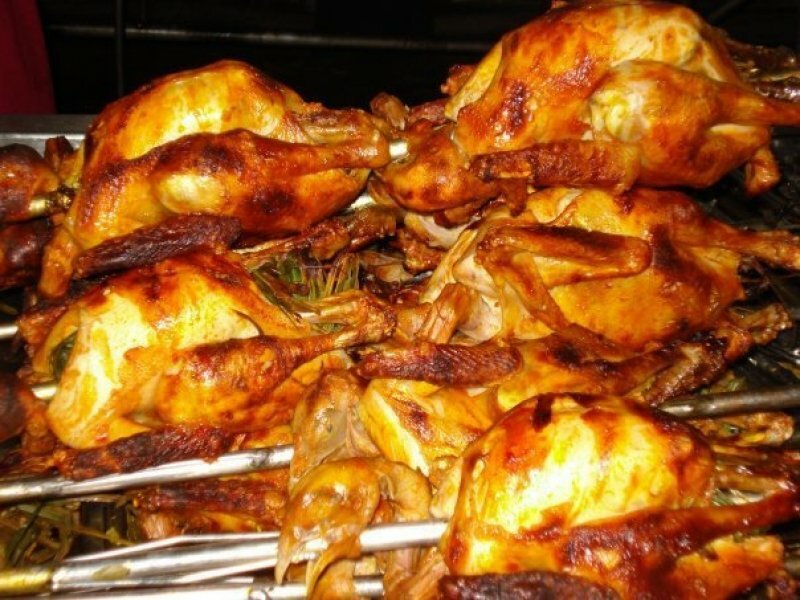 Hands down, Tatoy’s is known for its native chicken roasted to a perfect golden brown with crisp skin. Darag is the kind of native chicken that Tatoy’s use to cook. It is known for its unique flavour, stringy meat (which is expected on native chicken breeds) but high in protein and has less fat. It is a good alternative to commercial chicken. Chicken binakol is a delicious chicken soup that is similar to that of Manila’s version of chicken tinola. The sweetness of the coconut water and coconut meat make this dish stand out. 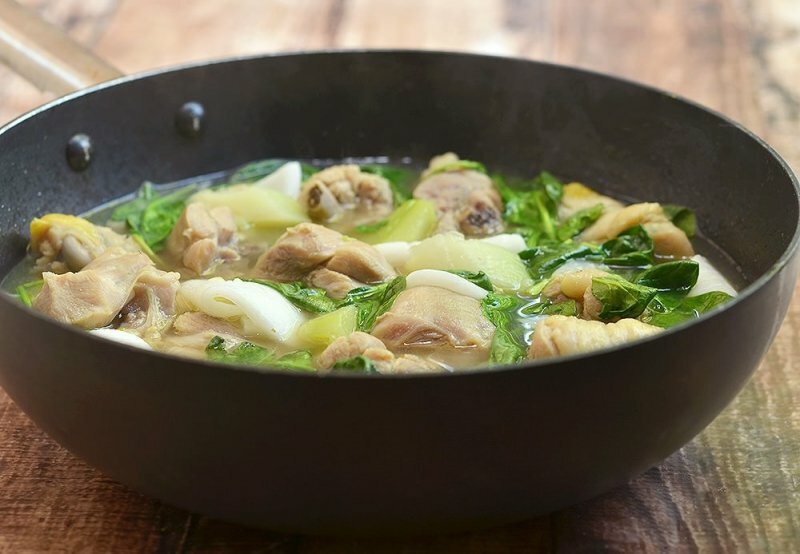 The traditional method of chicken binakol requires simmering the native chicken in bamboo for several hours. The meat of the native chicken (free range chicken) is tougher than the other chicken breeds but has more flavour. The three letters, KBL, stands for a lot of things. 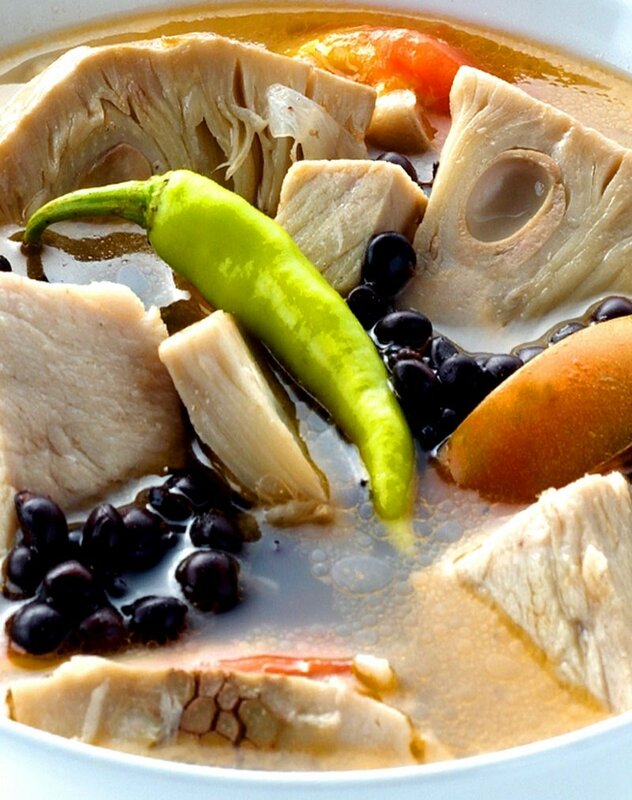 To Ilonggos, it simply stands as one of their favourite dishes—one which has grown to be traditionally Ilonggo. KBL is made from three major ingredients: kadyos (pigeon peas), baboy (pork), and langka (jackfruit) which are locally sourced. This dish is a staple at big celebrations such as weddings or fiestas. Roberto’s, an old Chinese family restaurant, has been selling these huge meat-filled steamed buns since 1978. 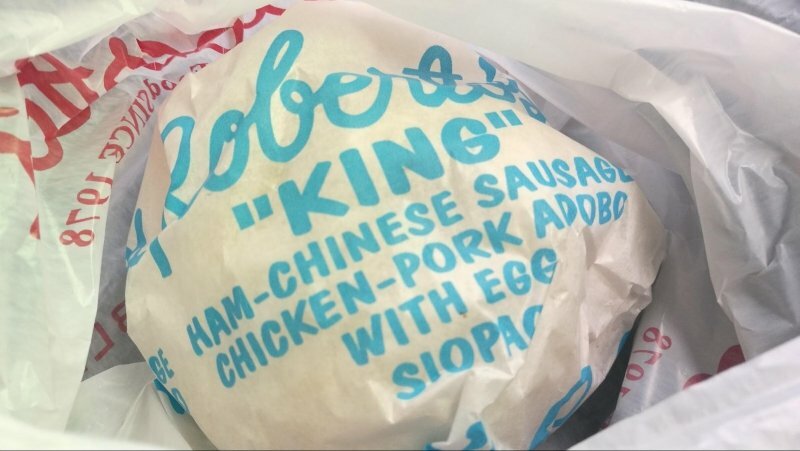 Their bestseller is Queen siopao which is filled with bacon, Chinese sausage, chicken and pork adobo, with egg. This fave is always sold out before the end of the day. Roberto’s is always a favourite for both locals and tourists. 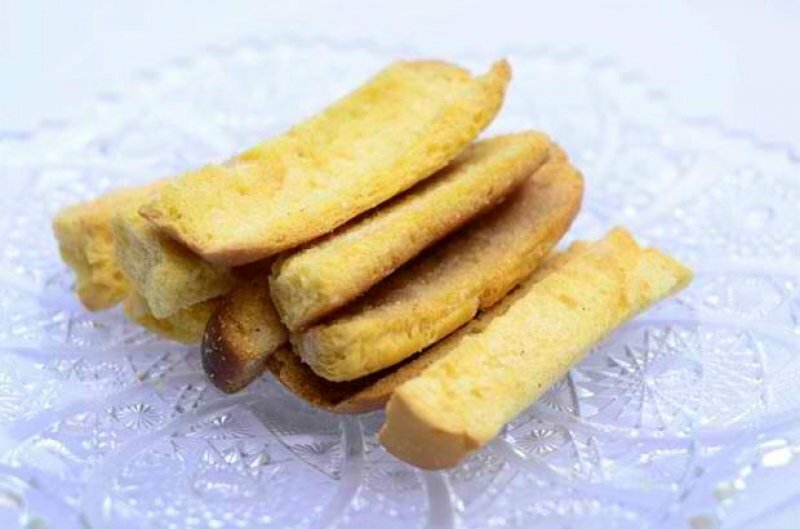 Iloilo’s biscocho is an absolutely popular take-home treat that has made Iloilo popular in the category of snacks and desserts. Biscocho is a piece of buttered toasted bread and topped with sugar. 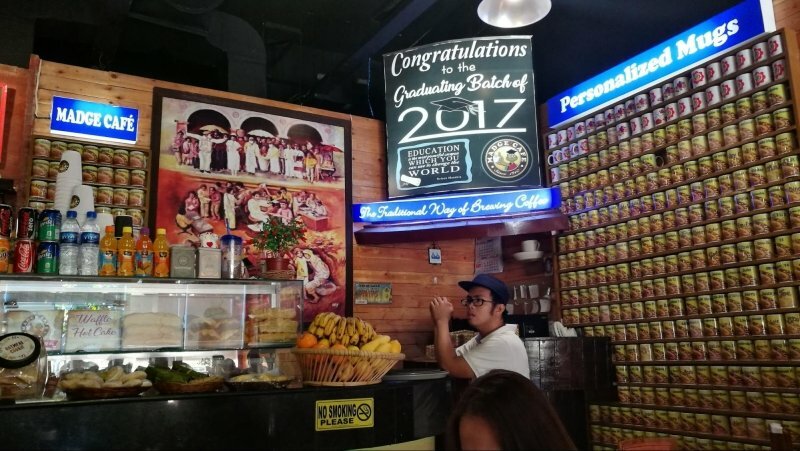 Aside from biscocho, Iloilo’s Biscocho House also sells assorted Pinoy pasalubong treats like barquiron (similar to barquillos but has polvoron inside its wafer rolls) and barquillos (thin wafter rolls). When you say barquillos in Iloilo, it almost synonymously means Deocampo. The Deocampos has been making barquillos since 1896 (the packaging says 1989 due to printing error which they choose to stand by it). 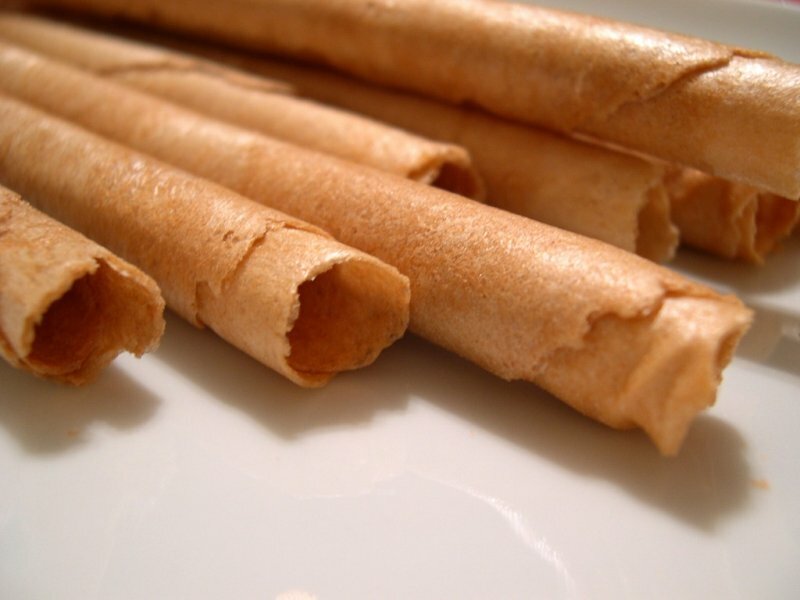 Barquillos are thin wafer rolls made from the basic ingredients, such as flour, eggs, milk, sugar, vanilla, cooking oil, and water. Fresh cow’s milk was originally used in common recipes, but the family opted to use goat’s milk for richer taste and more aromatic flavour. Other pasalubong shops offer barquillos in different flavours such as pandan or ube, but the Deocampos’ version is by far the most popular one in town. 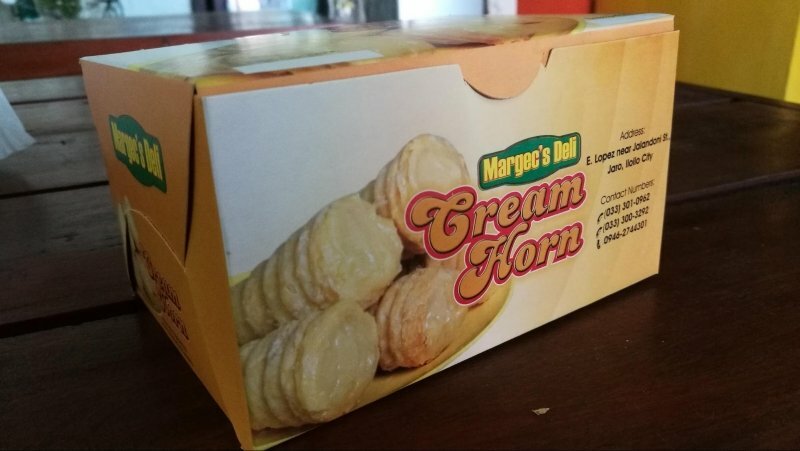 In the heart of Iloilo’s web of streets lies Margec’s Cream Horn. 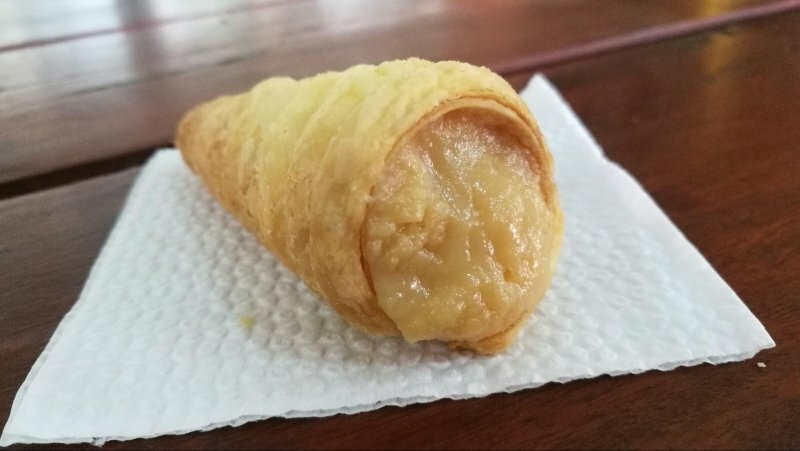 Upon reaching the store, you’ll find that it looks like a karenderia, but it offers these mini croissant-like flaky cones filled with yema-like cream. It is sold by boxes of 10 pieces. Aside from biscocho and barquillos, this is a top take-away treat to take home after an Iloilo holiday. 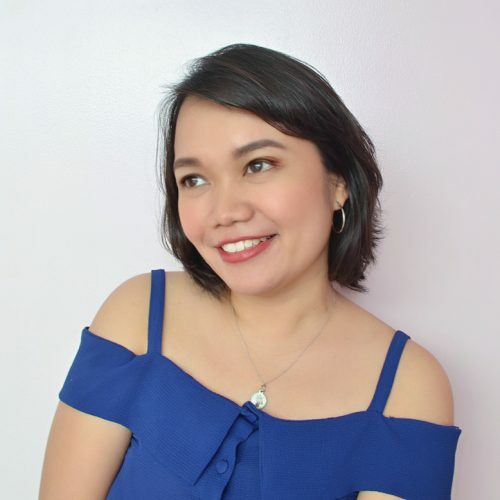 For foodies, Iloilo is called the City of Love for reasons far beyond the sweet sing-songy tone of its dialect or beyond the picturesque points of interest. It’s a City of Love because you can easily fall in love with its delicious cuisine. Its Spanish influence towed in by its Filipino taste make Iloilo food uniquely addicting. When visiting this underrated province, a food trippin’ binge is definitely in order.